The 2019 Apache Sprayer model year lineup does more than ever to meet the needs of growers. The latest models now feature cutting-edge precision technology that includes the Raven Advanced RS1TM Steering System — the most accurate high-speed steering system in the industry. With the addition of the RS1 System, owners will enjoy compatibility with the Viper 4+ field computer and an unprecedented free two-year subscription of In-Cab Remote Support. 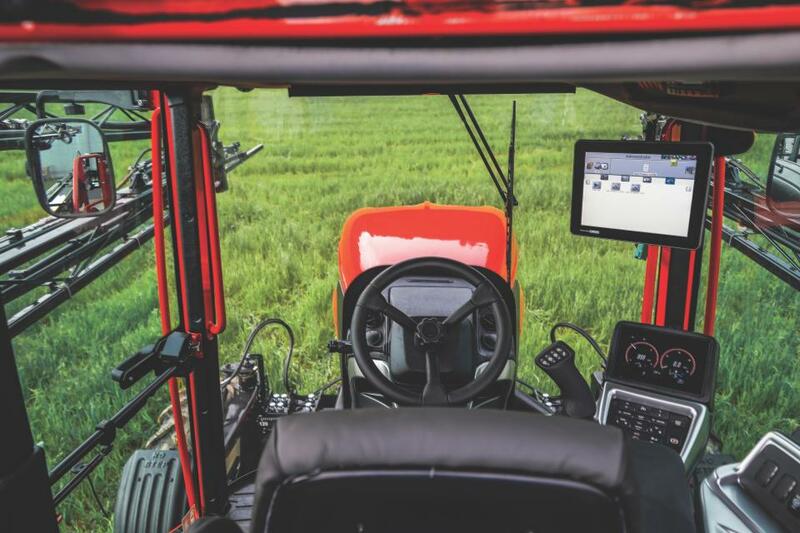 New owners will experience 24/7 support from an Apache Sprayers expert for remote troubleshooting, software updates, data logging, analytics, and machine diagnostics when they need it most. Custom applicators spend hundreds of hours in the field every year, applying fertilizer and crop protection products on millions of crop acres. These hard working professional applicators take pride in caring for crops and customers — and a lot of their success starts inside the cab. That’s why it’s all about comfort and control when it comes to the latest designs. From improved seat suspension to cutting edge precision technology, check out 11 cab designs that offer everything an applicator needs in the slideshow above.